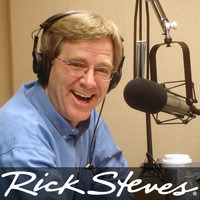 An expert updates Rick Steves on the practicalities of American travel to Cuba and how increased demand is affecting tourism there. Also, screenwriter Kim MacQuarrie tells us about the notorious bandits and revolutionaries whose lives he researched in South America and whose larger-than-life legacies still resonate in the Andes. Chris wrote "Mi Moto Fidel" after his first motorcycle excursion across Cuba, while researching the "Moon Cuba" handbook. The New York Times writes about the latest round of travel rules for U.S. visitors to Cuba, announced just prior to President Obama's visit to Havana in March 2016. The Netflix series "Narcos" recreates Pablo Escobar's life story.